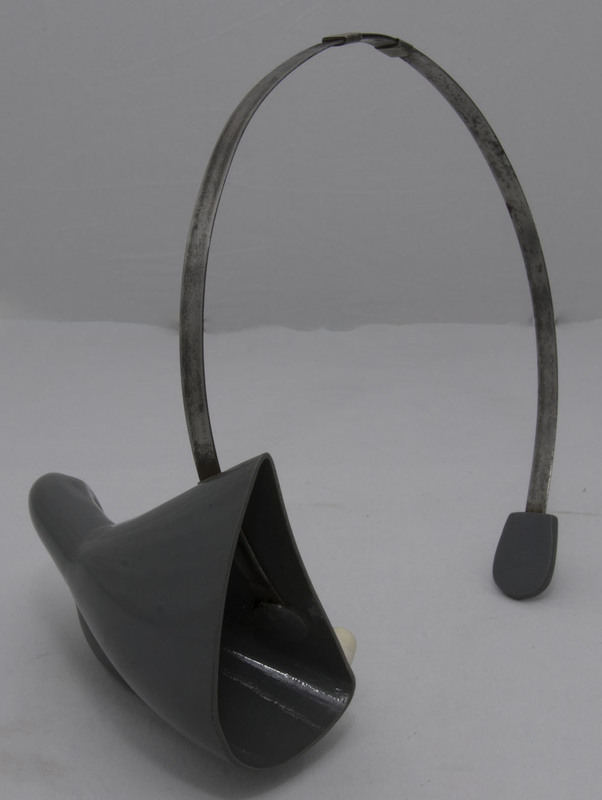 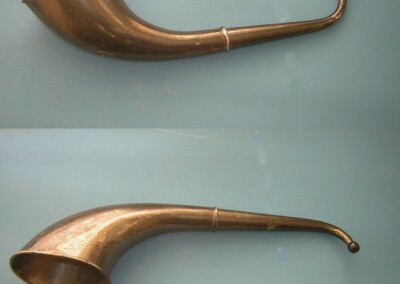 “London Dome” type ear trumpet made from the 1880’s until relatively recent times. 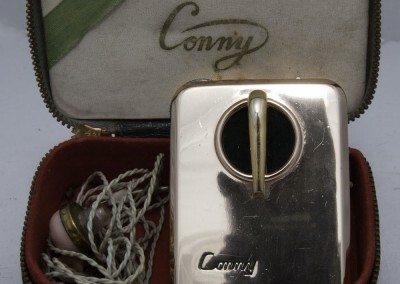 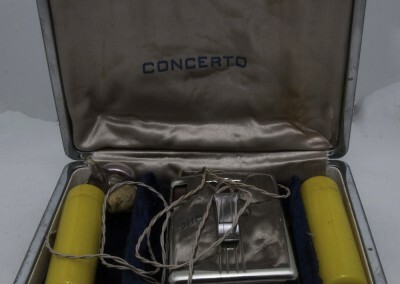 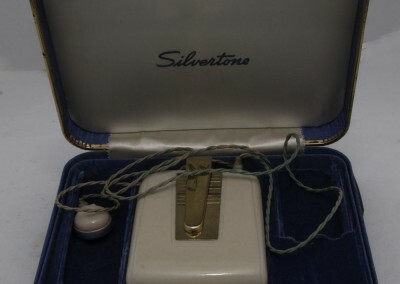 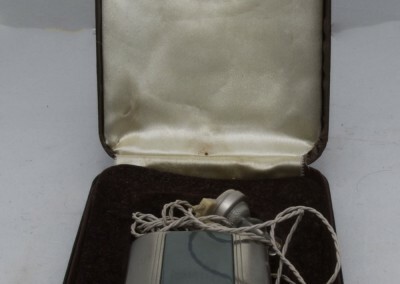 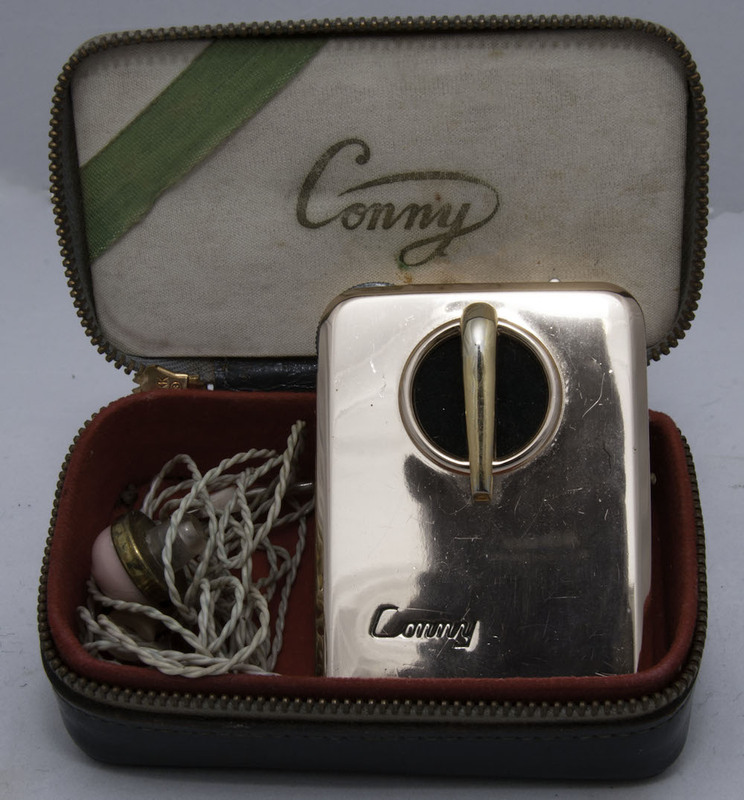 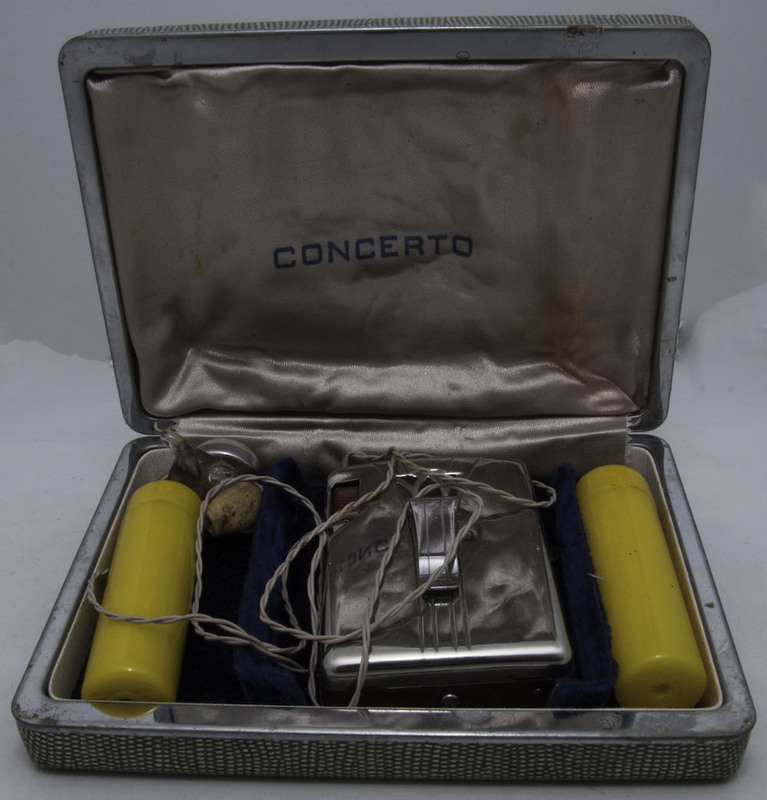 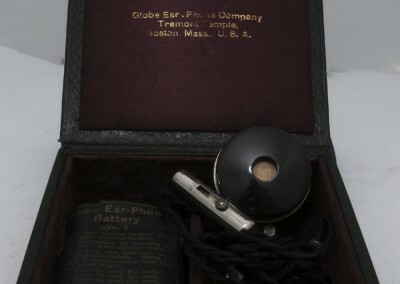 Used to amplify sounds from 1890’s – 1930’s. 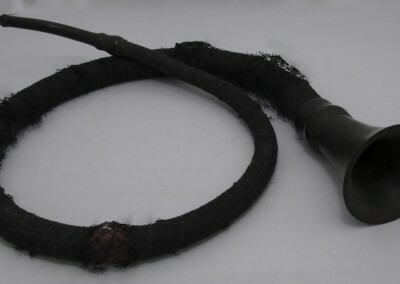 (later in some countries) Silk thread around the rubber tapered tube. 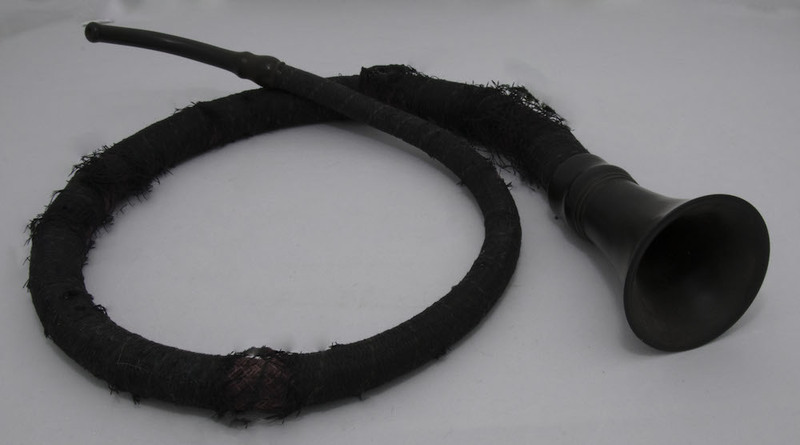 Came in a variety of lengths. 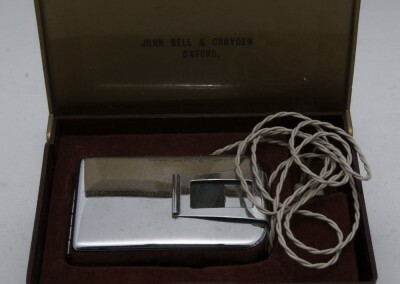 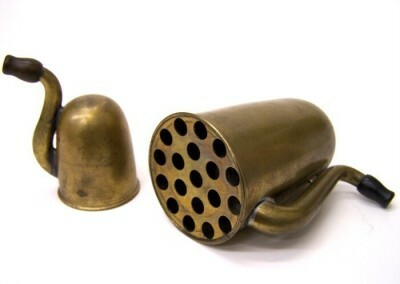 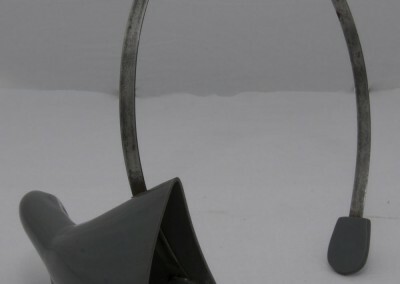 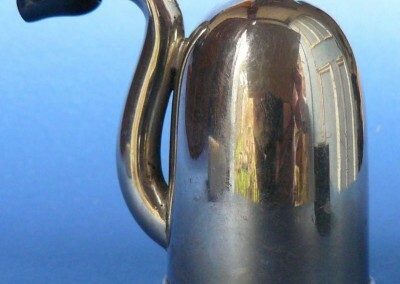 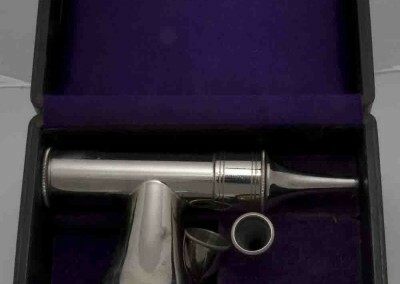 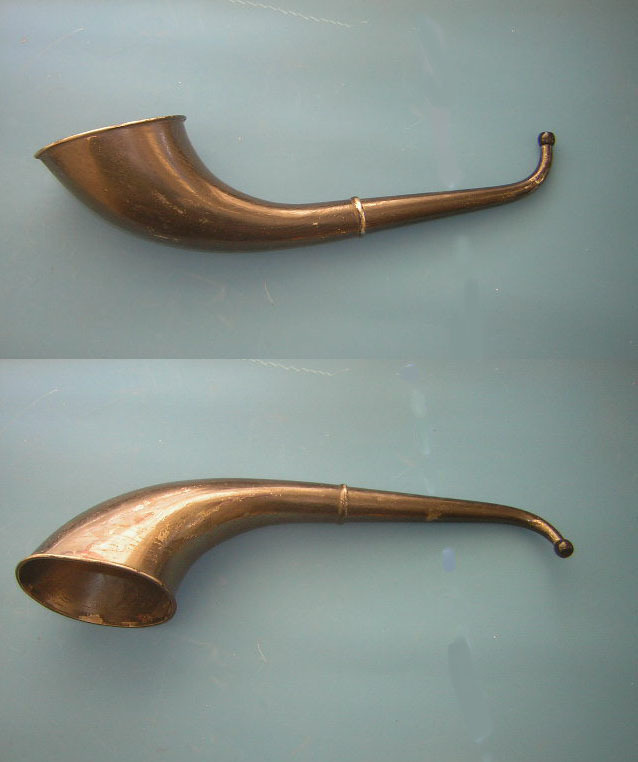 A pair of large and small “London Dome” passive type ear trumpet – made from the 1880’s until relatively recent times. 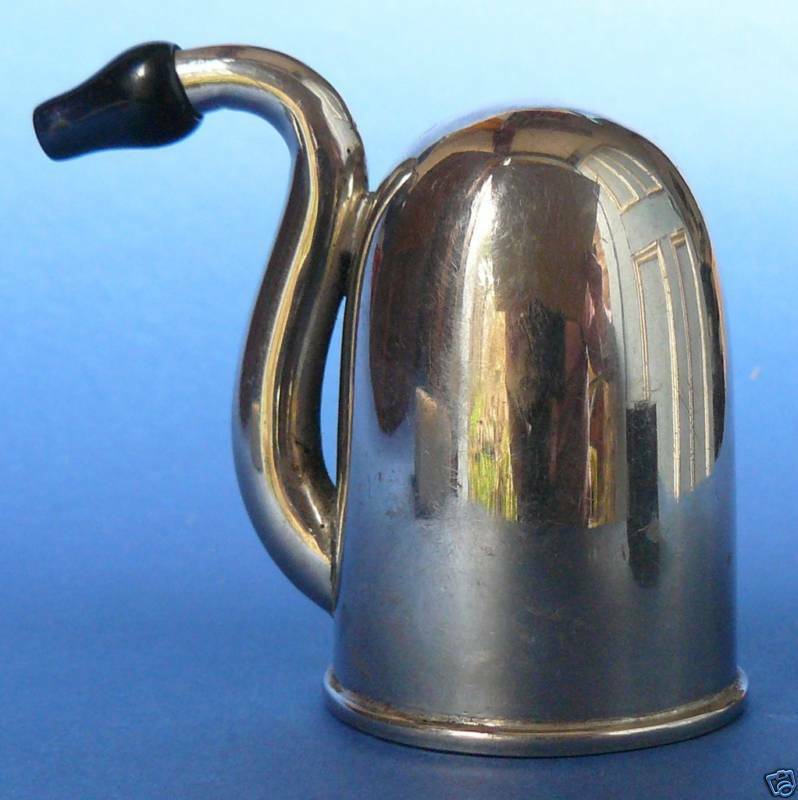 Sizes are small = 50mm x 40mm large = 90mmx50mm while even larger models were produced. 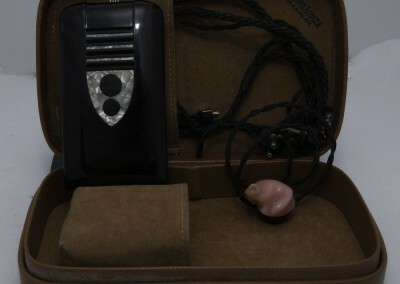 Made from 1890’s onwards. 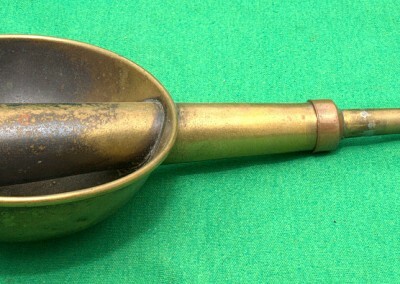 Materials such as brass, silver, wood and copper were used. 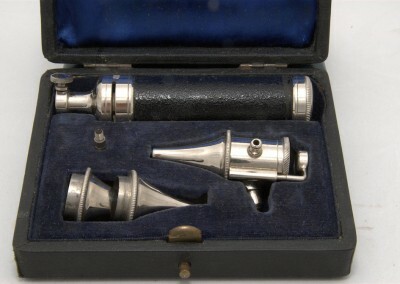 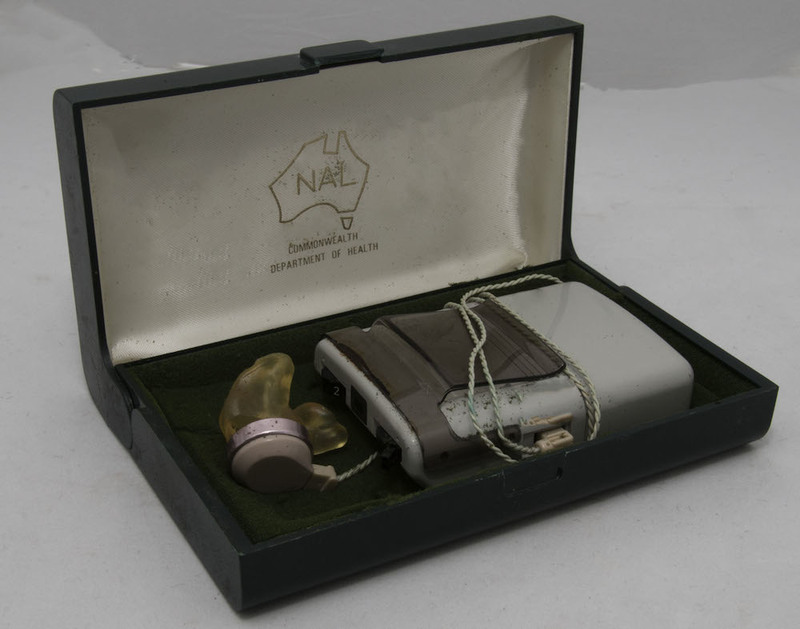 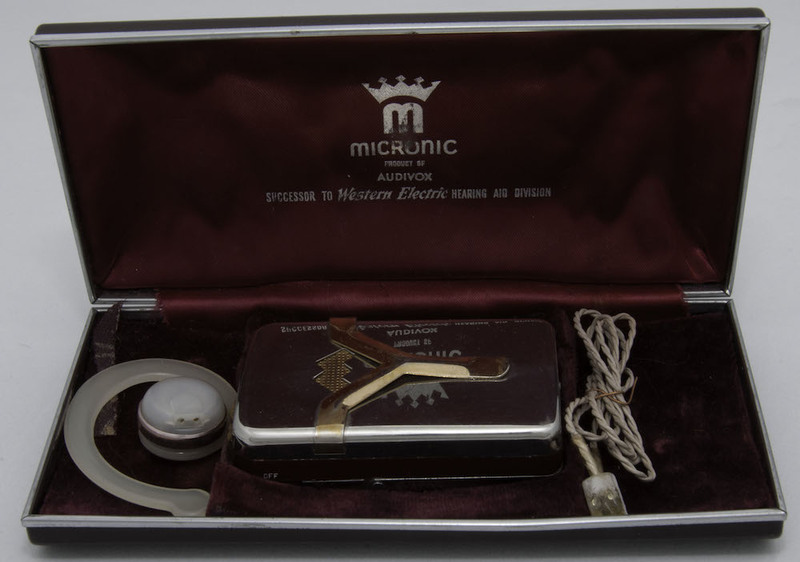 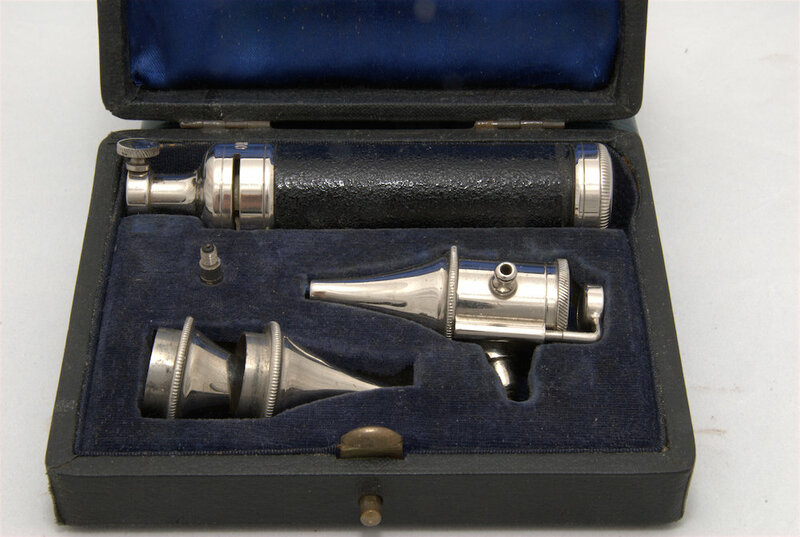 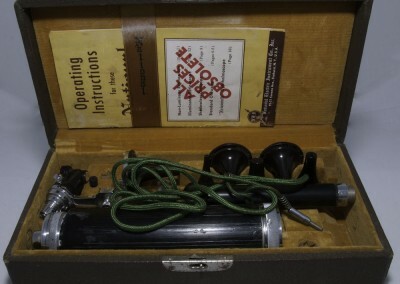 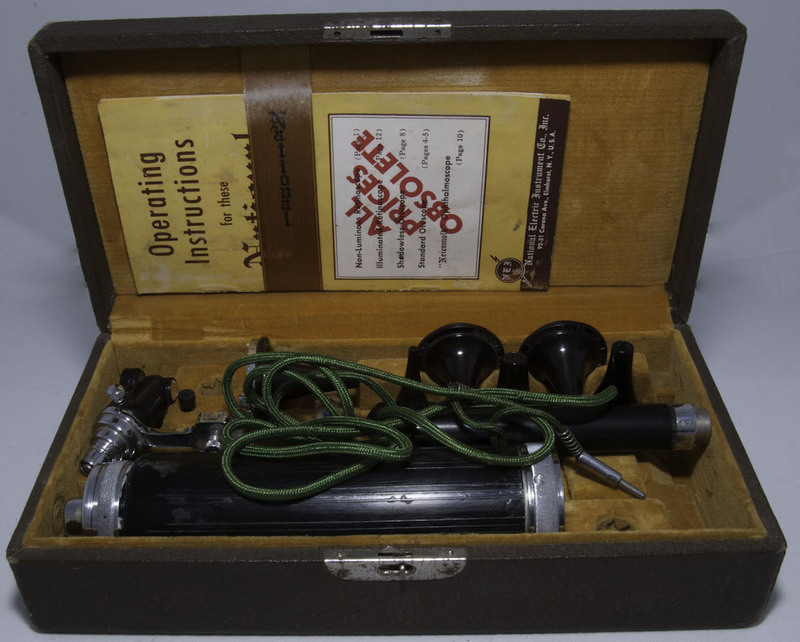 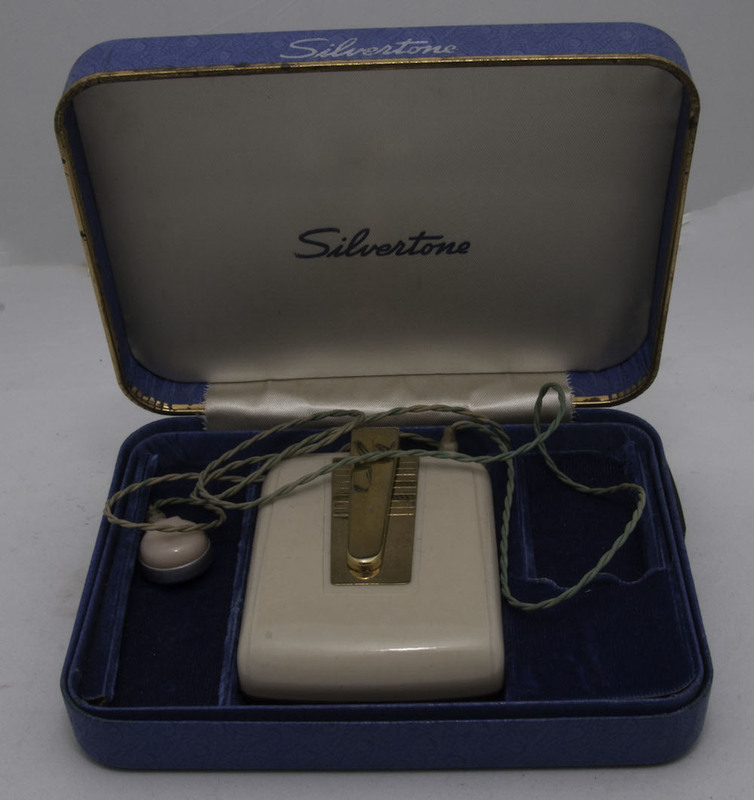 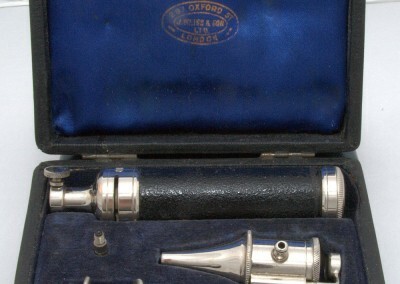 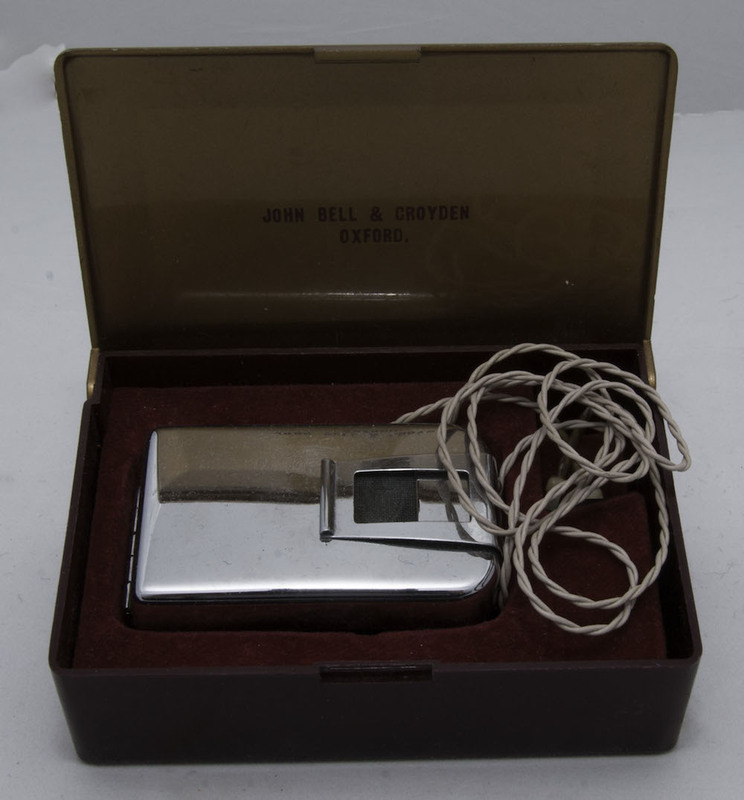 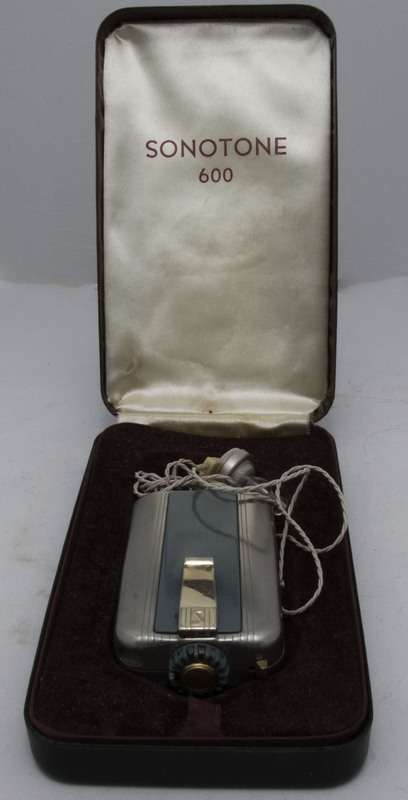 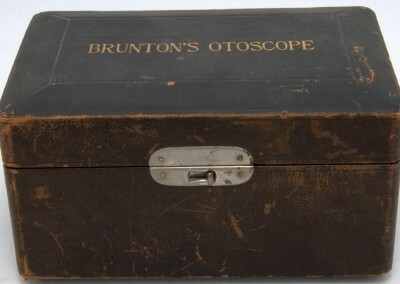 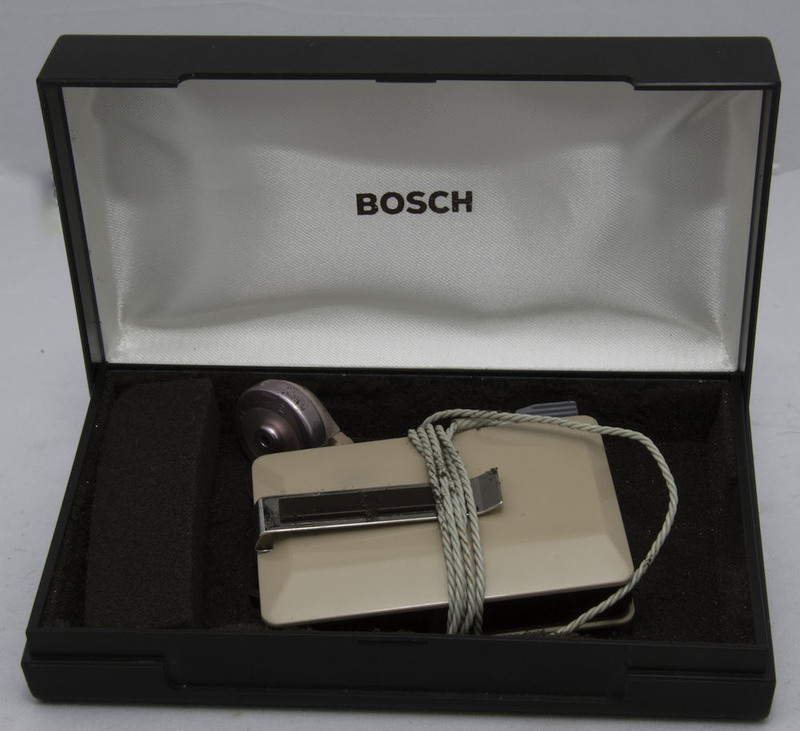 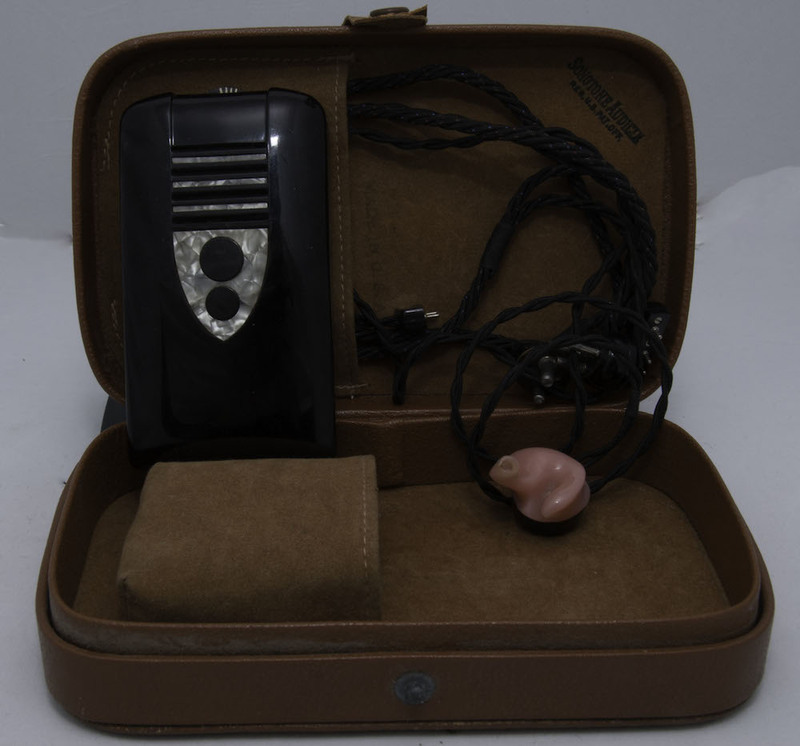 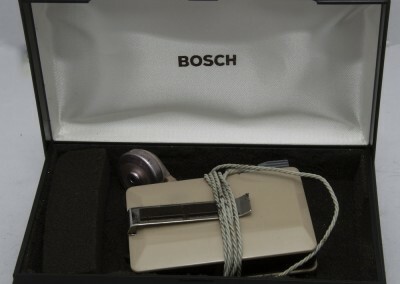 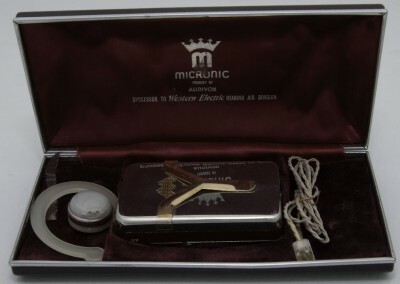 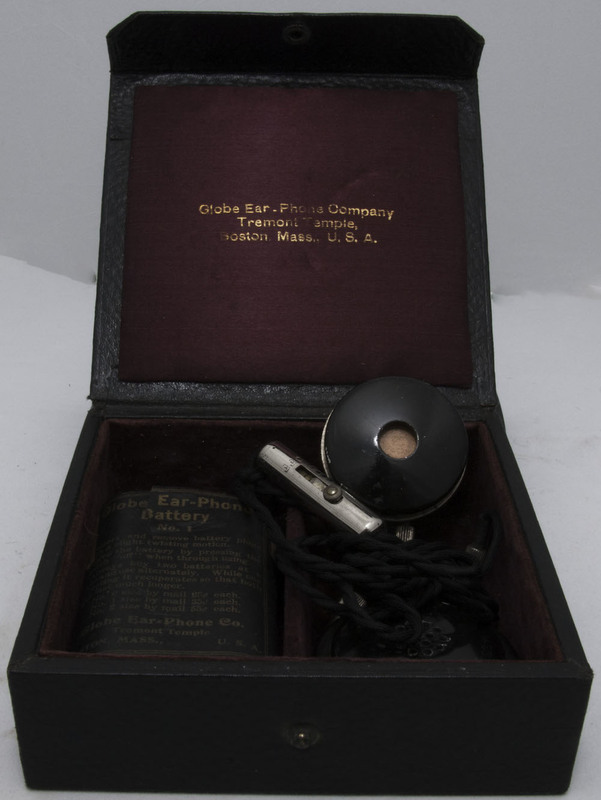 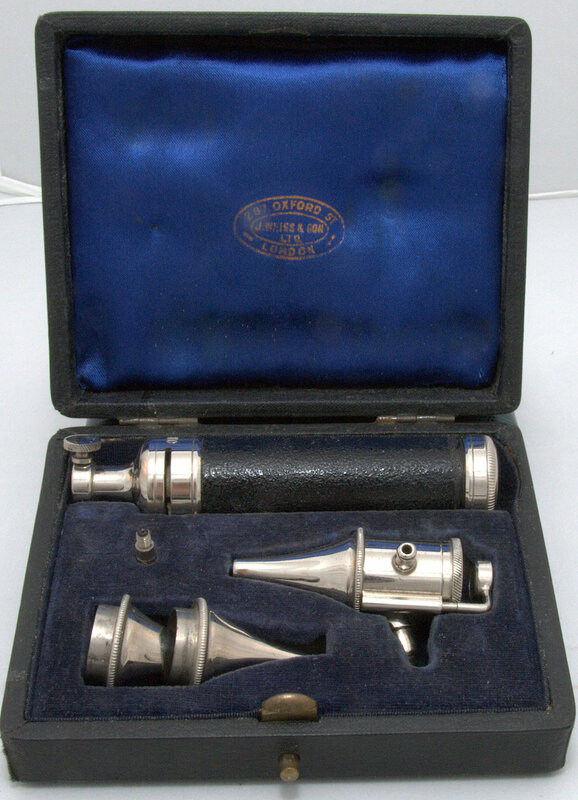 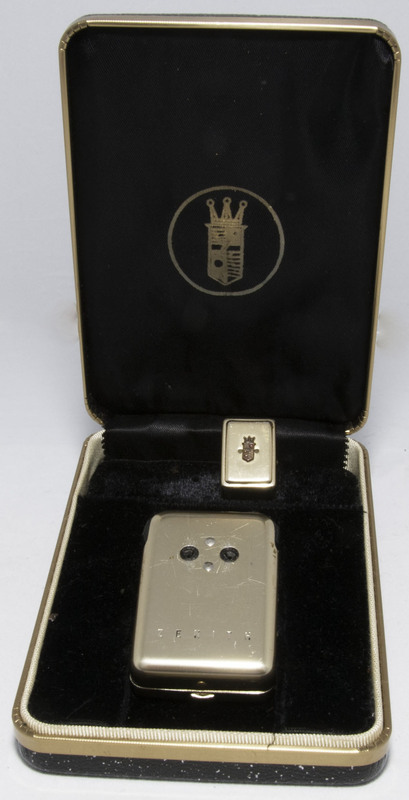 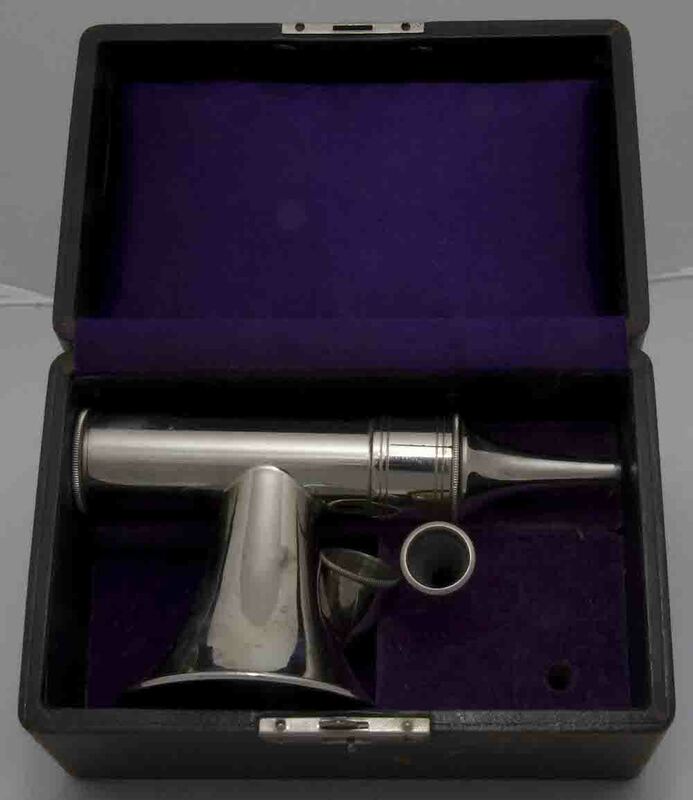 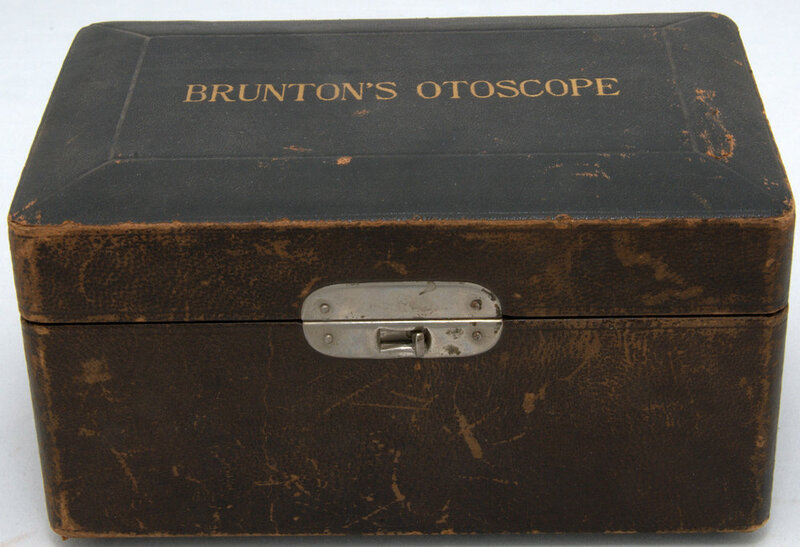 National otoscope made for medical inspection of the ear canal and associated parts. 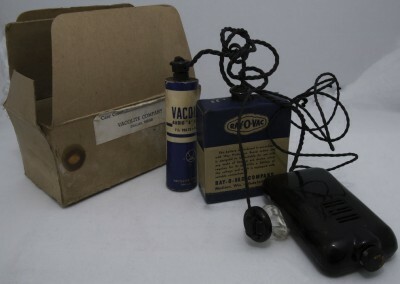 c-1915 – c1940. 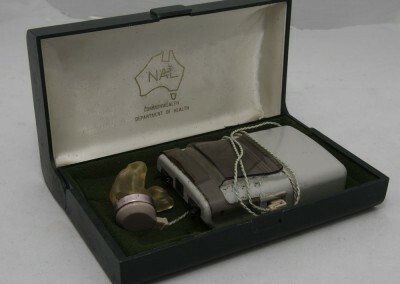 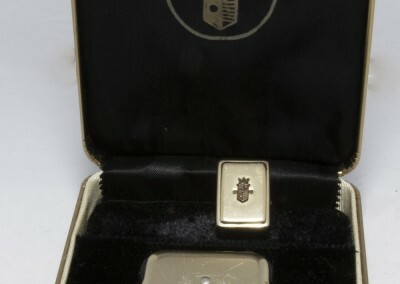 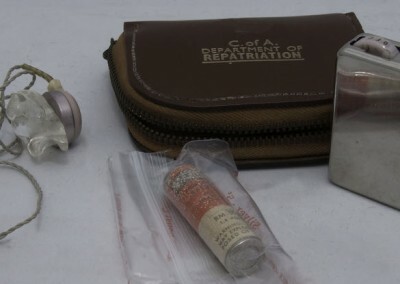 Used in the armed forces and others.